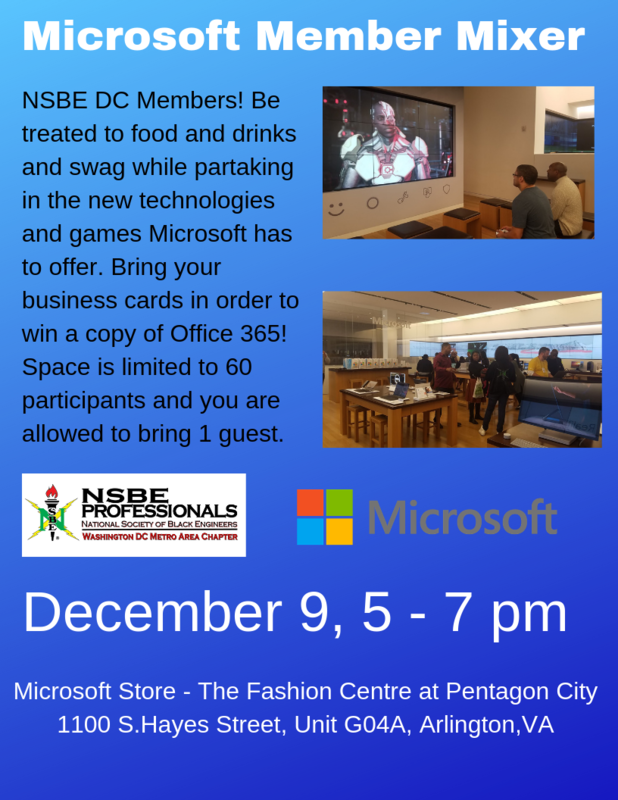 NSBE DC will be having a member-only mixer with Microsoft at its Pentagon City Mall Store! Enjoy food and drinks while partaking in the new technologies and games Microsoft has to offer, such as Virtual Reality, PC gaming and Xbox. Feel free to try out the new games! Remember to bring your business cards in order to enter to win a copy of Office 365 (worth $100)! Afterwards we'll stop by Sugar Factory for some drinks! Space is limited to 60 guests total and members can bring 1 guest.